Scott’s Cumbrian Blue(s), Wil Low. Scott's Cumbrian Blue(s), Wil Low. 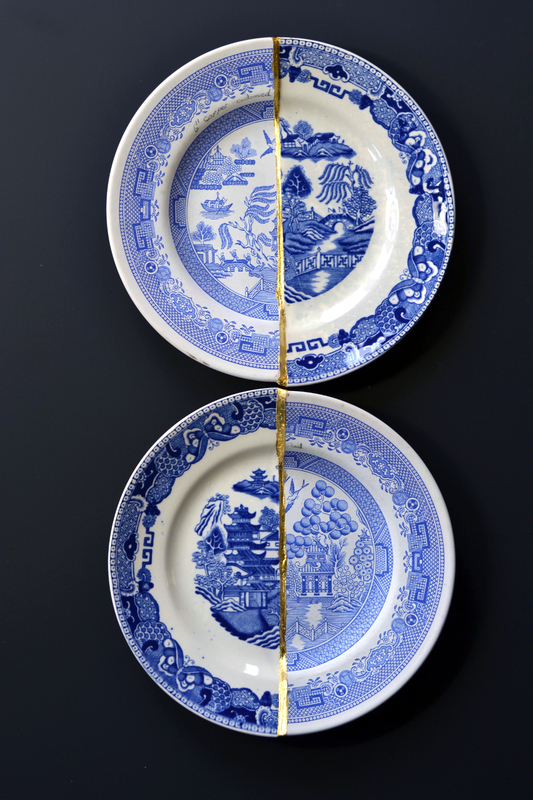 Collage, cut and re-assembled ‘Willow’ transferware plates (Spode Willow test salvaged from closed Spode Works 2009, and Egersund Norsk Willow plate) with Kintsugi. 170mm(dia) x 23mm(h). Paul Scott 2018. Wil Low. Collage, cut and re-assembled ‘Willow’ transferware plates (Spode Willow test salvaged from closed Spode Works 2009, and Egersund Norsk Willow plate) with Kintsugi. 170mm(dia) x 23mm(h). Paul Scott 2018.